This morning I broke my previous record for cold weather cycling by 1 degree C, making my new coldest ride temp -24C (-11F). For some cold weather cyclists this is of course child's play, but I am pleased nonetheless. In truth, last night's commute home was much tougher. The actual temperature was -19 but with headwinds gusting to 60km/h (37 mph) it was very difficult and very cold. My rides in these colder temps have been made worse by hubs with grease that kind of freezes or congeals when temps drop below -16C or so, making the bike ride like its got a stuck brake or something. Advice on how I should service the hubs (cartridge bearing type) for next year is welcome if you have some. For now I'm bringing the bike inside so the hubs free up at least for the first half of my commute, before they get cold again. I suppose it is also possible that the grease is OK but some metal in the hubs is contracting too much in the cold... I'm tempted to build/buy a set of winter wheels that would match hubs up to the challenge with my Studded Jumbo Jims, which are performing wonderfully by the way. 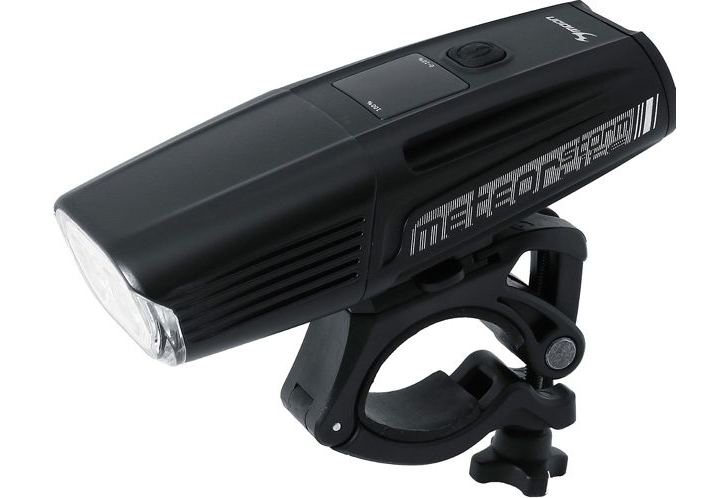 Speaking of performing wonderfully, I took the advice of some of my dear readers and spent some money on a good front light: a Moon Meteor Storm Lite. This thing is BRIGHT (1100 lumens claimed, and it looks like it really might be), charges with USB and holds that charge reasonably well even in these frigid temps. The mount is also of higher quality, which I suppose it should be with the light's chunkier weight and price. I paid almost $80 CAD for it. If not for advances in LED tech a light this good would have cost hundreds not that long ago. I always use it on steady, at the highest brightness setting, since I don't need to stretch the battery life at all for it to stay bright right through my short commute. I guess that is it for now; stay warm, be well and I hope to see you again soon! PS - I ain't received nuthin' from nobody for my kind words about any bike products mentioned here.